She's French, she's expensive and she's mine. I hope she's good in the kitchen. 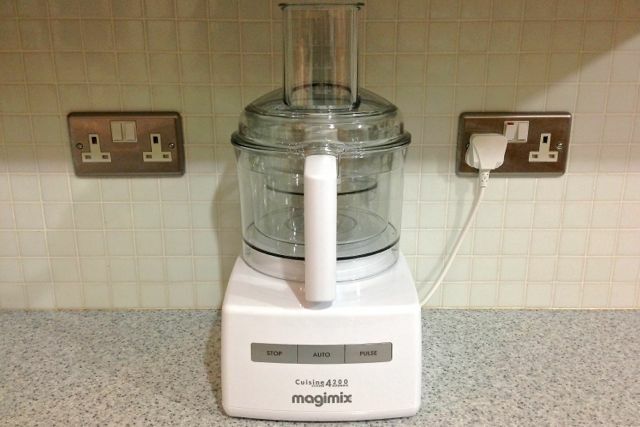 The Magimix 4200 is actually quite a macho machine in terms of brute power, with a solid build and the weight of a horse. After blowing a fuse on our little Philips blender trying to blend cashew nuts while reviewing Artisan Vegan Cheese, we've done our homework and dropped some serious cash on this beast. Now we've got it, we're planning to review it.